In addition to writing your own custom methods and types directly within the language, Lasso provides several APIs designed to provide the ultimate in integration flexibility. The Lasso C API (LCAPI, pronounced "El Cappie" by insiders) allows developers to write modules for Lasso using C or C++. Extending Lasso in this way can expose new functionality to Lasso that is difficult or impossible to achieve using other methods, often with the added benefit of increased performance over a purely script-based approach. 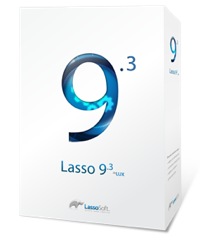 Lasso provides a direct connection to the Java Native Interface (JNI). This permits Lasso developers to instantiate Java objects and call Java methods. Lasso's JNI connection transparently translates simple objects such as strings and numbers into native Java data, opening up the world of Java libraries to Lasso developers. Lasso can also interact with local server processes and shells, making it relatively straightforward to create interfaces to command line programs.